Mumbai, 16th November, 2016: Apollo Spectra Hospitals, India’s leading chain of Surgical centres, today inaugurated the expansion to their multi-speciality, fully-equipped surgical facility in Tardeo, Mumbai. The facility which has world class operating rooms, internationally acclaimed doctors, state-of-the-art technology and the trademark ‘tender loving care’ of Apollo, will now sport Bollywood colours with its Bollywood themed expansion at Famous Cine Labs in Tardeo. Apollo Spectra Hospitals has created Centres of Excellence for Vascular Surgery, ENT, Orthopaedics and Bariatric Surgery at the Tardeo facility. The historic Famous Cine Labs has a legacy of producing music for films from as far back as 1946, and Apollo Spectra Hospitals looks to bring back the glory days of the venue with its Bollywood themed expansion that will offer its wide variety of multi-speciality services while being able to relive the golden years of music production. 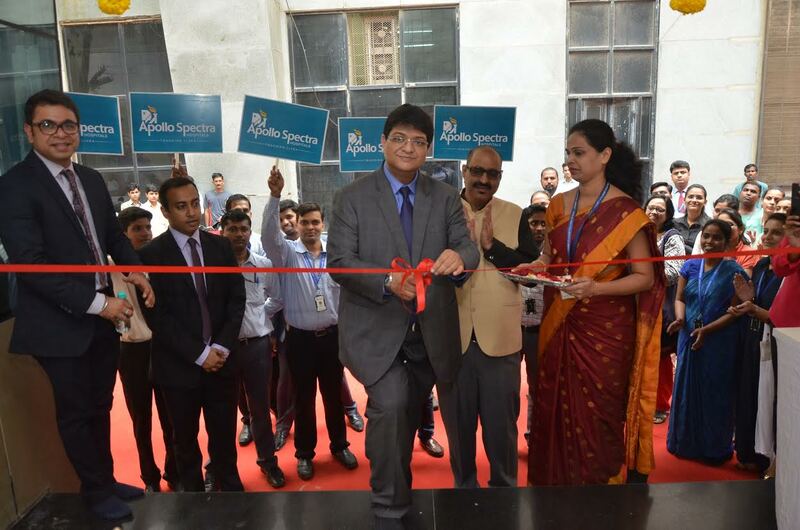 The residents of Mumbai stand to benefit from the increased capacity, with international standards of care and cure, delivered by the well-trained and experienced team at Apollo Spectra Hospitals. The hospital has the latest equipment to undertake laparoscopic surgeries which results in an early discharge. The array of services also include a 360 degree care for diabetic patients, offering complete treatment of diabetes and its complications. “We are especially proud to be able to offer patients a chance to relive the glory years of Bollywood with our new Bollywood themed expansion in the old production studio and hope it will do justice to the greatness of the films and the people who worked at Famous Cine Labs.” he added.